Our armed forces need state-of-the art flight simulators in line with the aircrafts in service to train theirs crews and to fulfil their operational duties. Thus, Germany and France mandated OCCAR to upgrade their simulators. Consequently, in December 2014, OCCAR signed with Thales AVS France and Rheinmetall Electronics a contract covering the upgrade and a 10-year in-service support of the Tiger Aircrew Training Means (TATM). Flight trainers are usually based either on the integration of real equipment or on their simulation via software models. These software models are commonly provided by the Original Equipment Manufacturer (OEM) and are a very high contributor to the overall price. As a consequence, OCCAR tasked Industry to adopt an innovative and very challenging approach originating from civilian environment: the full re-engineering of the real aircraft (at the exception of the flight loop). Based on a set of specifications, interface documents and equipment description, Industry was able to re-build the operation of the complete helicopter. The simulator is no longer made up of “black box” softwares supplied by OEM and integrated by the Contractor. The effect and the behaviour of each and any device is now simulated. Besides a high reduction of development cost, this re-engineered simulator can be easily fine-tuned with pilots to enhance realism and customer satisfaction. It can also easily welcome any further aircraft evolution, reducing significantly the Life Cycle Cost of the project. Further innovative approaches are also foreseen in the context of this Contract. The whole project has been steered in accordance with the Project Management Body of Knowledge and development has been conducted through “Agile” process. The latter is the state-of-the art practice in software development, involving the end-user during the whole development to tailor the product to the maximum extent to reach all detailed requirements. Thus, the flight simulators were upgraded to HAD Block 2 standard for France and UHT Step 2 Krypto for Germany. Several visual databases were also developed to support, for example, operations in the Sahelo-Saharan area. 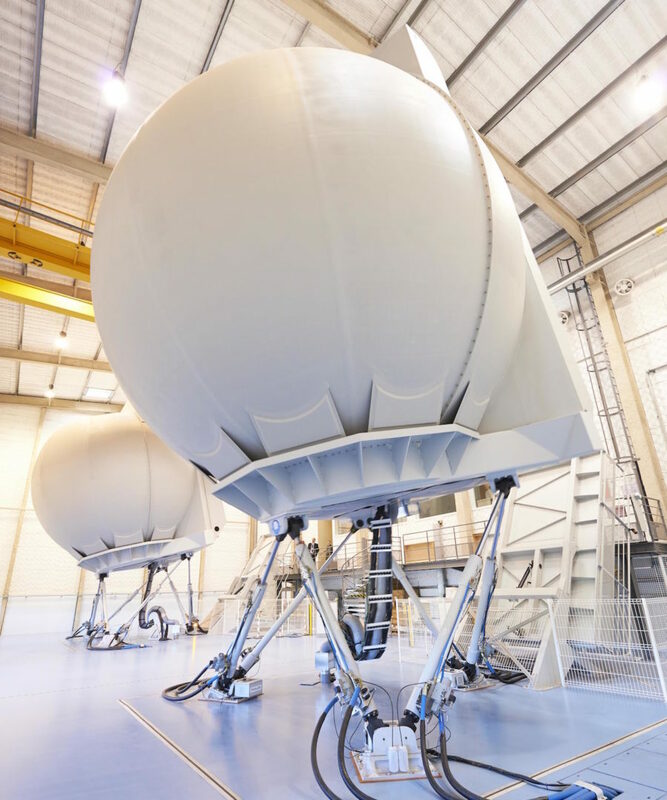 Successful acceptance of the TATM simulators was granted in May 2018 for the HAD variant and in October 2018 for the UHT variant. Sub-sequent deployments in operational units also took place in 2018 in Phalsbourg (July), Pau (November) and Fritzlar (December). This major achievement was possible thanks to the high level of involvement and commitment of the End-users, Official services, Industry and ODT. The German and French Armed Forces are now equipped with state-of-art training devices, compliant with their aircrafts' current configuration, ready to welcome future standards, reaching a high customer satisfaction. This ensures best value for money and strengthens the European Industry capabilities, as aircraft re-engineering is a premiere in Europe. This success clearly embodies OCCAR vision, the seek for excellence.